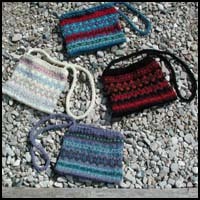 We hope you enjoy making this lovely little purse in Philosopher's Wool. It is an excellent way to practise your two-handed Fair Isle technique. If you have highspeed internet connection you can watch Ann demonstrate the technique here. 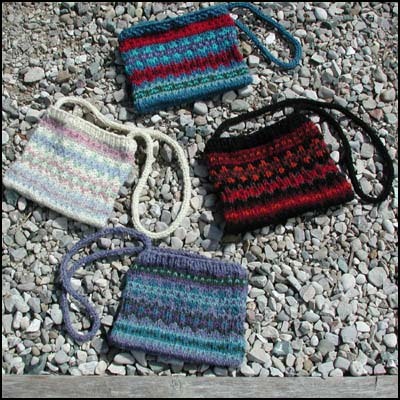 This sampler was designed as a small piece for those beginning two-handed Fair Isle to practise the technique. Size and tension are not the important things, so just practise and have fun! Use 2 colours or as many as you want, the symbols simply indicate where to change from the left hand colour to the right hand colour as you learn the two handed technique. Cast on 72 stitches and join to form a circle. Work 3 rows in rib, moss or garter stitch to form upper band. Follow the graph using the colours you have to form the patterns. complete with 3 rows of background colour. Using the three needle method, cast off the stitches to form the bottom of the purse. Make a cord using braid. I-cord or other technique and attach at the corners. Use your bag to carry your mug to meetings! To Wash: Hand wash in a large sink with Sunlight Liquid detergent in hand warm water. Allow to soak for 2 or 3 minutes, drain and rinse in several sinks of warm water. Squeeze gently and spin out excess in washer. Lay out flat on a towel, by wood stove or radiator until dry. Our wool washes easily and beautifully or you may dry clean. Copyright © 2002-2018 The Philosopher's Wool Company. All rights reserved.  Reproduction in whole or in part in any form or medium without the express written permission of The Philosopher's Wool Company is strictly prohibited.